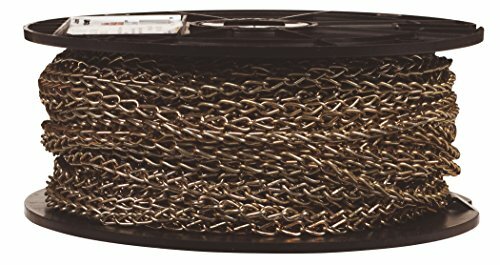 200' reel, #16, brass plated, double steel Jack chain, WLL 11 lb. 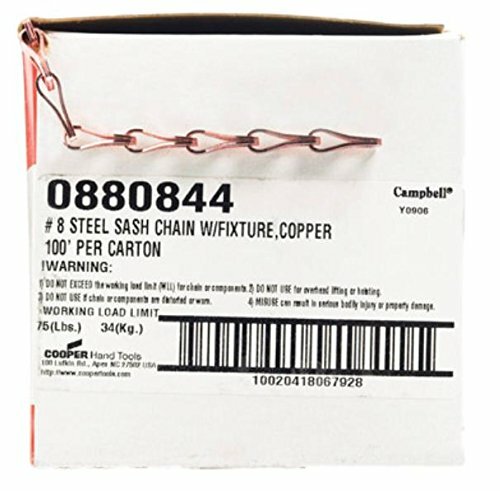 8, copper Sash chain, 100' per carton, complete with fixtures, for 7 double-hung windows, WLL 75 lb. Boxed Replaces Ace No. 51997. 650-004024001060 Features: -High tenacity nylon core adds extra strength and reduces stretch. -Coating provides chemical, weather and heat resistance. -Reinforcing synthetic core. -Polished to resist rot, mildew and wear. Product Type: -Ropes. Dimensions: Overall Product Weight: -3.83 Pounds. 82' mini reel, brass plated clock chain, #5 hobby, WLL 13 lb. 45' pail, 3/8", grade 70 transport chain, yellow chromate, for use in load binding, towing & logging, can be used in accordance with department of transportation regulations, standard material: heat treated carbon steel, standard finish: zinc electroplate & yellow chromate Conversion coating, hallmarking: "C7" or "M7", proof tested, do not use for overhead lifting. ASC sash chain. Self colored finish. This chain is used for counter-balance chain for double hung window sashes, arc lamp chain, animal chain. Made of stainless steel. 75 pounds working load limit. #8 Trade size. 50-feet length. 650-002012001060 Features: -High tenacity nylon core adds extra strength and reduces stretch. -Coating provides chemical, weather and heat resistance. -Reinforcing synthetic core. -Polished to resist rot, mildew and wear. Product Type: -Ropes. Dimensions: Overall Product Weight: -1.05 Pounds. Balanced interlocked solid braid retains smooth round construction. Polished to resist rot mildew and wear. 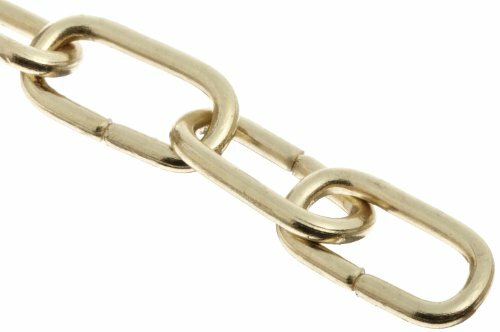 164' mini reel brass plated clock chain, #3 hobby, WLL 7 lb. size 35 chain. Price per foot. 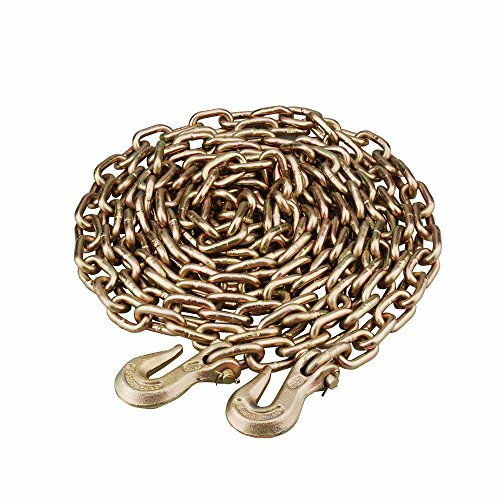 Zinc-Plated Sash Chain Sash chain is flat chain, suitable for suspension of double hung sash, pulley applications, etc. Operates smoothly over pulleys. Working load limit of 106 lbs. Smooth, non-scoring surface for use as gaskets and packing. Solid braided cover with cotton core. 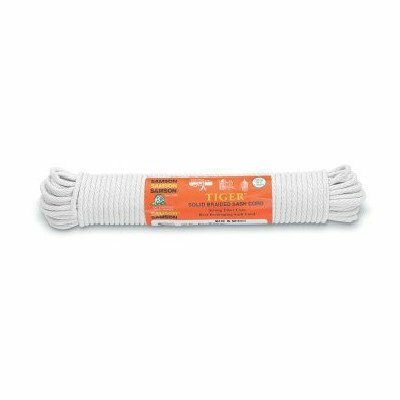 Ropes, Harnesses and Climbing Tool Type: Sash Cord Application: Construction Maintenance Size Group: 8 Load Capacity: 200 lbs. 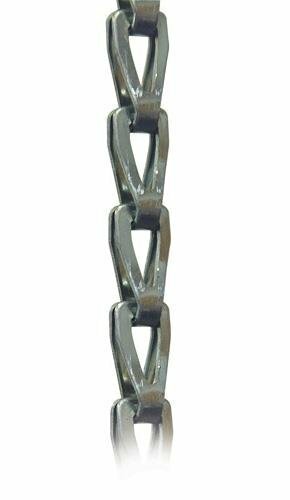 The Maxload 3/8"x14' Grade 43 High Test Utility Chain is made with rust resistant zinc plating. The Forged steel clevis grab hooks attaches at both ends of the chain to make for fast hook-ups and releases. 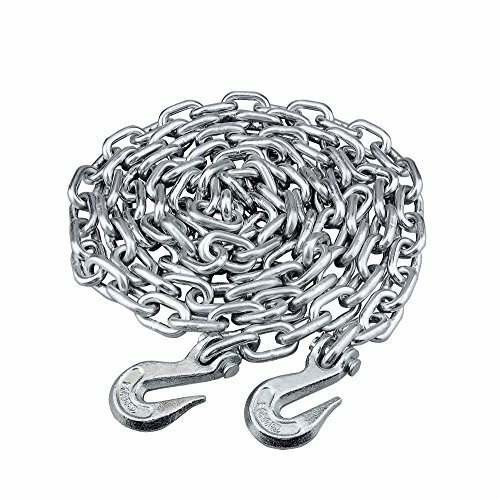 This 3/8" x 14' Utility Chain can be used with chain blocks or winch pullers and is idea for pulling, binding, securing and towing all types of loads. 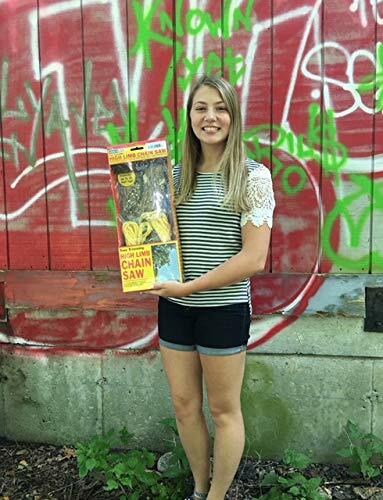 The Maxload 5/16"x 20' Grade 70 High Test Utility Chain is made with Yellow zinc plating to reduce sparking and offer superior corrosion resistant. 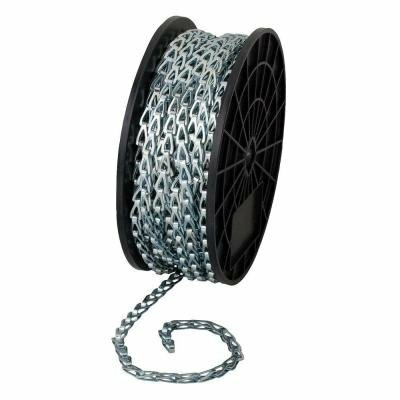 This 5/16" x 20' Utility Chain can be used with chain blocks or winch pullers and is idea for pulling, binding, securing and towing all types of loads. Features include a clevis grab hook at both ends to ensure secure attachment. CM Sash Chain Steel is typically used for pulley applications in windows and window sashes. Meets or exceeds ASTM & NACM standards where applicable. Available in various finishes. Sold by carton, reel or pails. Custom cuts for OEM applications are available. 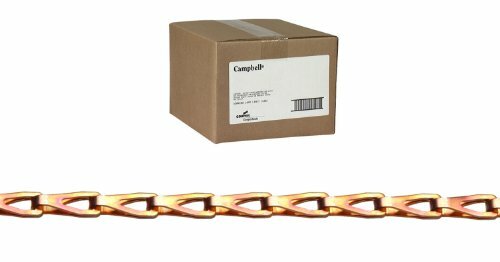 Campbell Stainless Steel Sash Chain is made of type 304 stainless steel and has a polished bright finish. 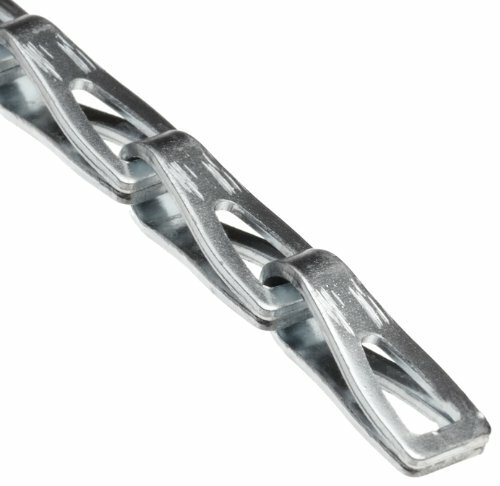 This chain is often utilized as counter-balance chain for double hung window sashes. It can also be utilized for arc-lamp chain or animal tie-down chain. 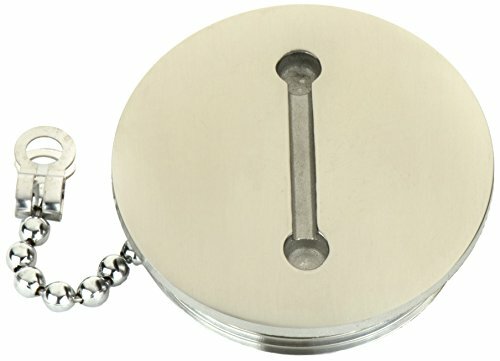 Whitecap 6074C Replacement Deck Fill Cap - 2". Whitecap, is a company founded in 1972. We are active as an importer, manufacturer, exporter and distributor, mainly dealing in hardware and plumbing products.